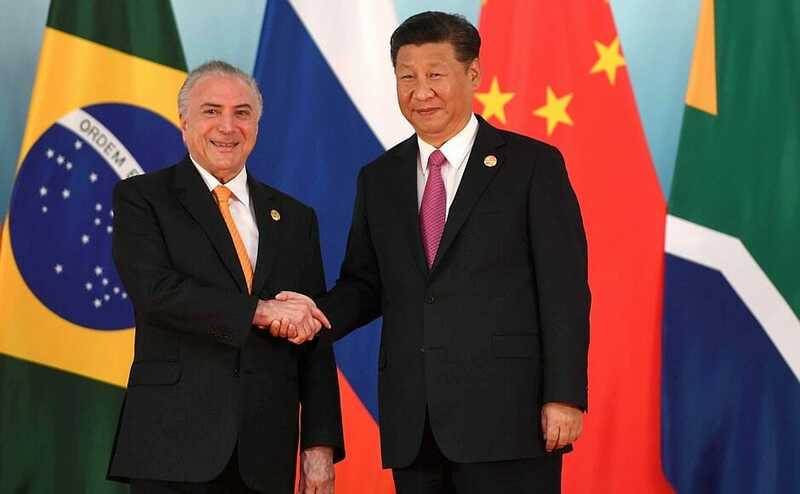 As the biggest player in Latin America and with a sizable presence on the world stage, Brazil ought to approach its relationship with China more tactically. In the depths of the Brazilian Amazon, troops from China’s People’s Liberation Army are wading through tropical vegetation as part of a training program in jungle warfare. China has joined an elite defense club in South America. 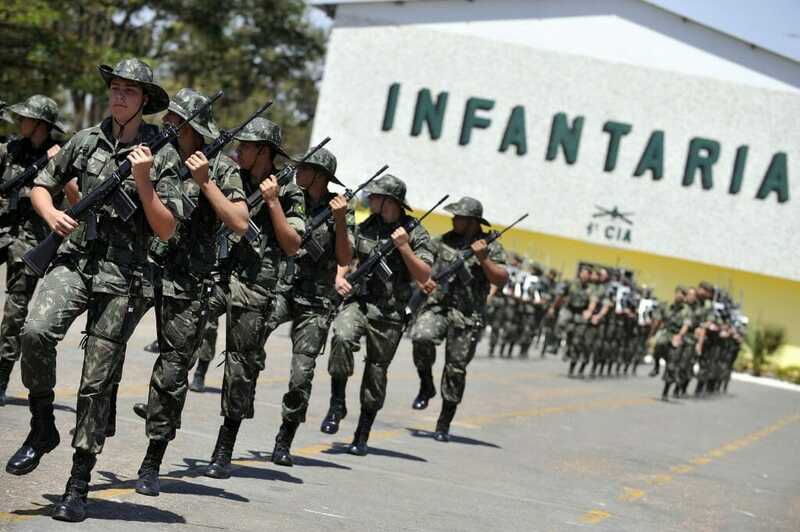 Brazil’s Centro de Instruçao de Guerra na Selva, an internationally renowned school located near the swampy northern city of Manaus, has trained roughly 6,000 officers in its 50-year history. So positive has the Chinese soldiers’ experience been that a Brazilian delegation from the training center is reportedly traveling to Beijing to assist the Chinese with their own school in mainland China. The Brazilian Navy has gone even further, sending its officers to the year-long commander’s course in Nanjing. 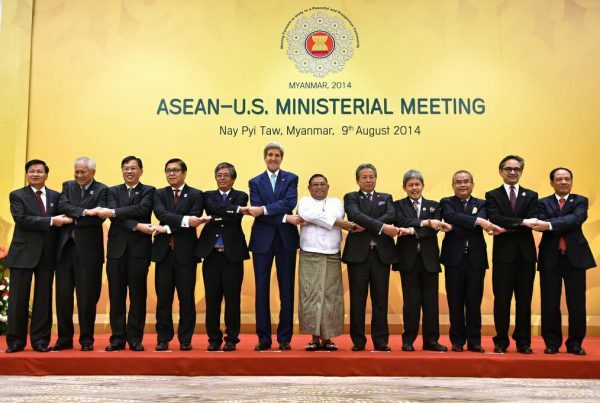 Defense is just one in a series of recent changes in the relationship between these two strategic partners. Over the past year, the Chinese commercial position in Brazil has progressed considerably. In May, Chinese banks and investment groups agreed to allocate $15bn towards the $20bn Brazil-China Co-operation Fund for Expansion and Productive Capacity, mainly to finance Brazilian infrastructure projects, and this year China will surpass the United States as Brazil’s largest source of foreign investment. Brazilian financial institutions are scheduled to provide $5bn to the fund, which was first proposed by China’s premier, Li Keqiang, during his 2015 visit to the country. Since that visit the Chinese have plunged more than $22bn into Latin America’s largest economy through mergers and acquisitions of Brazilian companies – almost half their $46.8bn worth of investments in Brazil in the last decade. Chinese capital dedicated specifically to long-term investment is somewhat of a novelty. Brazil is, of course, no stranger to crimson renminbi notes. At the turn of the last century, Brazil caught the wave of Chinese economic growth as the People’s Republic joined the World Trade Organization (WTO). With its long list of unique natural resources, Brazil was perfectly placed for a post-WTO China. From soybeans to feed Chinese pigs and beef cuts for a burgeoning Beijing middle class, to iron ore and special metals to build the hundreds of Chinese cities, Brazil has “won the China lottery”, as Kevin Gallagher, professor of global development policy at Boston University, described it to me. But trade was about as far as China got. Fearing a threat to national business, many Brazilian industries, such as manufacturing and textiles, simply would not allow the Chinese in. Unlike other countries in Latin America, continental-size Brazil had its own domestic giants and did not need outside investment to develop its logistics and infrastructure. It merely needed a buyer for its goods and resources. Brazil had its National Bank for Economic and Social Development (Banco Nacional de Desenvolvimento EconOmico e Social, BNDES), and thus did not need China as a creditor. It had colossal construction group Odebrecht, and therefore no real need to welcome Chinese construction firms. It had skilled personnel educated at top Brazilian universities, giving it little reason to call on Chinese expertise to help knock together bridges and ports. Three years of economic decline leading to the worst recession in Brazil’s history have resulted in fiscal restrictions on how much money the BNDES can lend. A gargantuan corruption scandal involving Odebrecht has bankrupt companies and forced others to divest assets. To help shore up the federal budget, President Michel Temer’s government is privatizing businesses ranging from energy to telecoms, and a new phase is well under way with its familiar South-South trading partner. 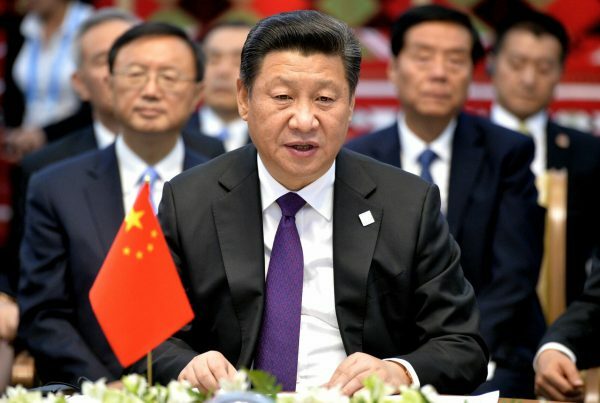 “Odebrecht is paralyzed and it had previously beaten out China – now the Chinese can offer a quick fix,” said Dr Evan Ellis, research professor of Latin American Studies at the US Army War College’s Strategic Studies Institute. “They can come in and say: ‘We’ll fund the rest of the project’.” In July, Odebrecht sold its controlling stake in Galeão, Rio de Janeiro’s international airport, to Chinese conglomerate HNA in a roughly $307m deal. For Rafael Cortez, a political analyst at Sao Paulo-based consultancy Tendencias, Brazilians are frustrated with their national heavyweights. “The relationship with China is stronger because of the structural difficulties we have in Brazil,” Cortez said. “And the regulatory environment is more open to global players under this government, so Chinese capital can fill our fiscal gap.” But Cortez stressed that local politics in Brazil are still marked by nationalism; any moves to open up the economy may be called into question by certain sectors after the October 2018 presidential election. Yet Brazil’s economic recovery will not happen overnight and any administration that follows the president will want to ensure recent investments are there to stay. China Construction Bank and the International Commerce Bank of China are already entering Brazil with force. They will operate as banks at a local level, partly to enable Chinese companies to do business in Brazil. China maintains a ‘closed’ capital account, meaning companies, banks, and individuals cannot move money in or out of the country except in accordance with strict rules. In addition, the Chinese capital fund Fosun recently set up a new office in Sao Paulo, acquiring the Torre Sucupira building in the financial district, one of the city’s prime real estate spots, for $140m. China Mobile is looking to make a bold entry into South America with the possible acquisition of the bankrupt Brazilian firm Oi, potentially giving a Chinese company access to more than 63m Brazilian subscribers. Beyond selling their goods to the local market, mobile phone and hardware companies China Unicom and Huawei plan to build a 6,000-mile undersea telecommunications cable across the Atlantic connecting Fortaleza in north-east Brazil to the African nation of Cameroon. Other technology companies such as Baidu, the Chinese e-commerce site, have made forays into the South American country, while this year Didi Chuxing invested $100m for a 20% stake in Brazilian ride-hailing app 99 Taxis, an increasingly popular rival to Uber. Several smaller software companies were also snapped up with Chinese funds, but these moves into tech are still relatively nascent. There is a sense of openness towards Chinese companies. Unlike in other markets where the Chinese have faced political resistance to their investments, Brazil is keeping an open mind. Ellis described being impressed on a recent trip to Rio de Janeiro by the number of Chinese-language programs available. “In the early 2000s, no one spoke Mandarin in the Brazilian foreign ministry,” he said. There are currently 10 Confucius Institute centers in Brazil that teach Chinese script – more than any other country on the continent – reflecting the demand and paving the way for greater ties. New mainland Chinese entrepreneurs are settling in the Liberdade district of Sao Paulo, traditionally an area popular with Japanese and Korean migrants who arrived after World War II. “There is less distrust, more feeling of welcome,” said one business owner who sells Chinese electronics from his bustling stall on Liberdade’s main thoroughfare. “Brazilians have a self-confidence and a pride that makes them open to negotiations.” Barriers to travel, while still substantial, he says, have improved significantly. And Brazilian soap operas have even made it onto television screens in his hometown of Guangzhou. China cozying up to Brazil will have an impact on the wider Chinese footprint across the continent. According to Ellis, a base in Brazil gives “huge potential” for Chinese companies to maneuver and move on to other markets. One recent example is in electricity generation, where a Chinese company has now entered Chile after working with State Grid in Brazil. “Once you have interconnected projects like roads that link ports in Brazil to Peru, this creates synergies between Brazil-China and China-Latin America,” said Ellis. Brazil has a specific relationship with China. As the biggest regional player with a sizable presence on the world stage, Brazil ought to approach the relationship more tactically. “They [the Chinese] have a huge buffet-style menu of things they need and want to buy. But no one is asking them for things,” said Gallagher. Brazil would do well to start thinking a la carte. Lucinda Elliott is a British journalist specializing in Latin America from the region. Formerly at the Financial Times in London, she reports between Caracas and Sao Paulo for both news and magazine publications.